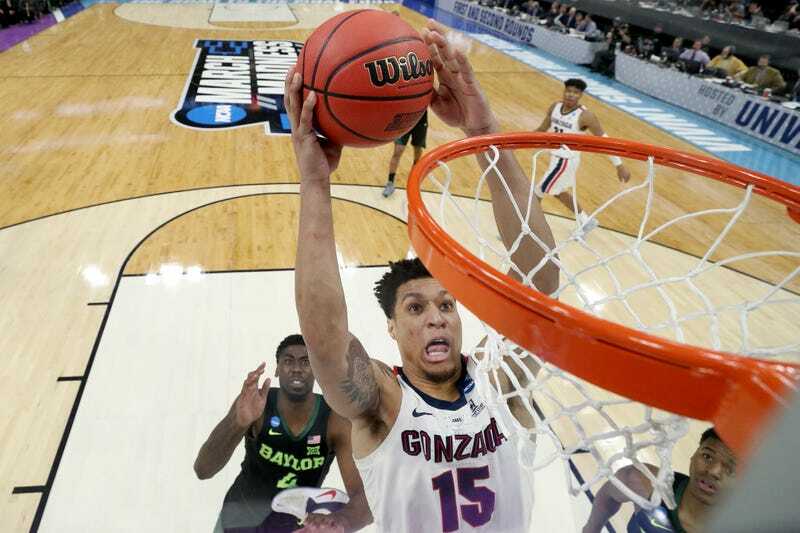 It’s something like an understatement to say that junior big man Brandon Clarke went off against Baylor during Gonzaga’s second-round 83-71 win on Saturday. He did go off, though, and was the single biggest reason the Zags cruised into the Sweet 16. Clarke blew away all other scorers with 36 points on 15-of-18 shooting (well, and dunking) and also stuffed the Bears’ offense with 5 blocks. The stat line is impressive on its own, but it wasn’t a one-off. It continues the trend of ultra-efficient dominance that Clarke has set this season. In his 35 games, Clarke has more blocked shots (107) than missed field goals (105). Clarke flew under the radar until this year, which is his first with Gonzaga. He excelled over two previous seasons at San Jose State, and gave some hints of his future as a powerhouse during his sophomore season in 2016-17, but he’s ascended even further with Gonzaga. Clarke has paired brilliantly with Rui Hachimura to form a brutally efficient frontcourt duo that was nearly impossible to slow down all year long. At only 6-foot-8 and 215 pounds, Clarke isn’t the visually overwhelming, Tacko Fall-esque presence his numbers suggest. Instead, he’s something even more valuable: a multifaceted threat with NBA-level athleticism and a capacity for doing the little things that matches his knack for manufacturing highlights. Clarke often gets dunks after receiving the ball right at the rim, but it’s also not uncommon to see him out in front of everybody on the fast break after a turnover, and he has the quickness, the smarts, and the soft finishing touch to beat his man for two when he gets the ball in the mid-range or further out. 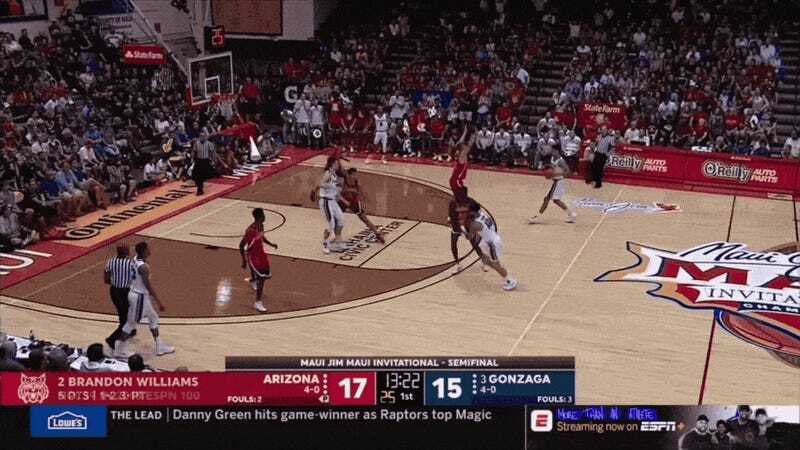 As part of Gonzaga’s scout team, Clarke guarded Johnathan Williams, a guy who would average a near double-double in his last year with the Bulldogs. The goal, of course, was to make things difficult for Williams, but Clarke got a little carried away, snuffing his teammate’s shot so often (head coach Mark) Few realized the Bulldogs were practicing under false pretenses. For all the startling highlights he’s authored, though, Clarke has also been ridiculously consistent; he’s really played just one bad game, in December against Washington, all season long. Baylor couldn’t do much more than get steamrolled by Clarke down low, but Thursday’s match-up against Florida State presents a much more fascinating battle. Clarke will go up against the Seminole center platoon of 6-foot-10 Mfiondu Kabengele and 7-foot-4 Christ Koumadje, and together those two extremely large men may be the toughest challenge Clarke has faced all year. It’s something to keep in mind while watching Brandon Clarke go to work—basketball isn’t nearly as easy as he makes it look.